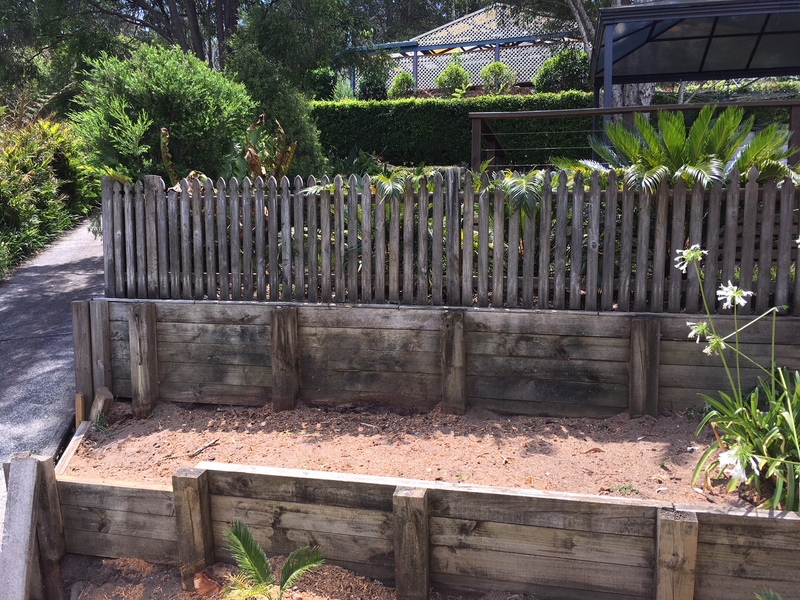 This big fig tree stump in Niagara Park on the Central Coast resided high up in the top level of a retained garden bed making access quite tight and difficult. The owner had attempted to break down the stump with an axe with very little progress. Without the right tool for the job it was almost impossible for a stump that size and the position it was in. The customer wanted the stump removed for aesthetic reasons as they where replacing the old copper logs with sandstone blocks. 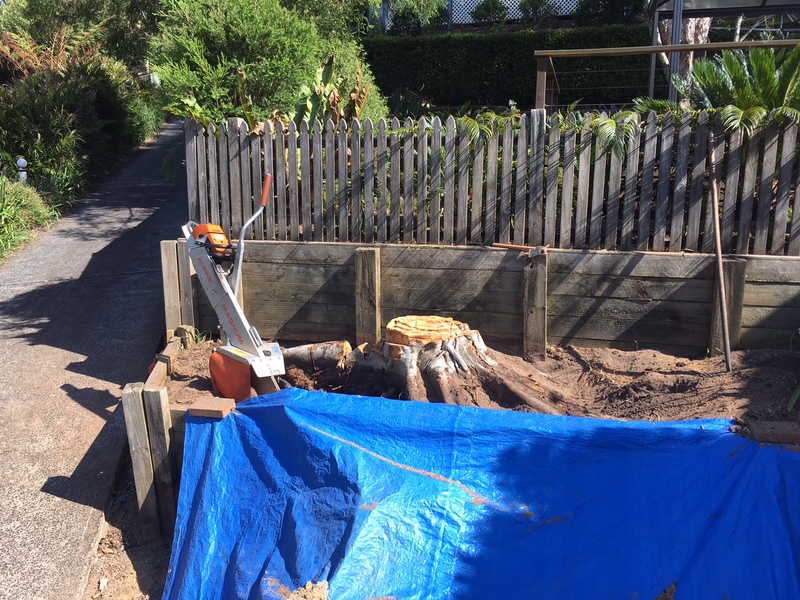 As the access was so tight no mainstream stump grinders could reach the stump so the portable stump grinder machine was the only option for the complete removal of the stump.